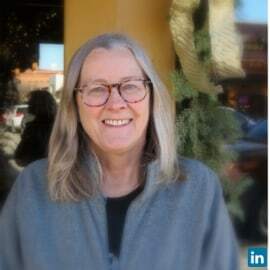 "Rusty has been a psych nurse for over 30 years in Colorado, working primarily in Community Mental Health as a psychotherapist and in program and policy development in Boulder and Durango. She is also a Medical/Legal Paralegal, specializing in behavioral health legal issues. She has her doctorate from Regis University. A passion for improving educational opportunities for nurses at all levels has brought Rusty to SWCAHEC (Southwestern Colorado Area Health Education Center) as Programs Manager of the SW Colorado Healthcare Sector Partnership, a registered MA Apprenticeship, as liaison with CU for bringing BSN programs to the region, and as the community lead for the AHCM. She also teaches at PCC’s local campus, SCCC. Rusty and her husband live on a small organic farm at 8,000’ and enjoy backpacking, skiing, and spending time with their kids and grandkids."